A Uyghur who lives in Dubai is on the verge of being deported to China, where he could face detention in a “re-education camp” and possible torture, after being detained by Emirati police, his family have said. 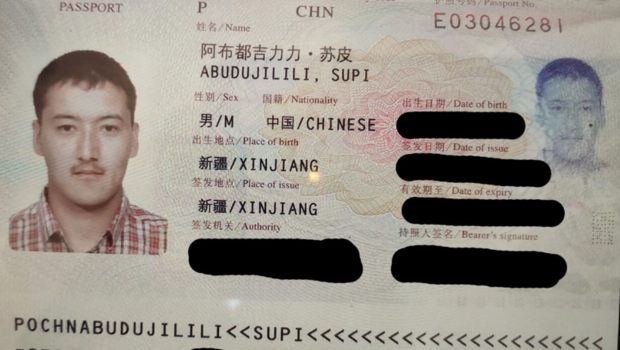 Abudujilili Supi hails from the Xinjiang province in China, where tens of thousands of Uyghurs – a Muslim minority group inside China – have been subject to growing repression by authorities. Some of the repressive measures imposed on Uyghur Muslims include being banned from practising their faith in public and facing torture at the hands of local Chinese authorities. Human Rights Watch says China is holding at least a million Uyghurs in “re-education camps” with the crackdown against the minority group growing since 2016. Some estimate the number of Uyghurs detained in camps to be even higher. Supi, a former Islamic studies student at Cairo’s al-Azhar University, fled to Egypt from China in 2012 to practice his faith freely without fear of the Chinese authorities, before travelling to the United Arab Emirates in 2017 to learn English. 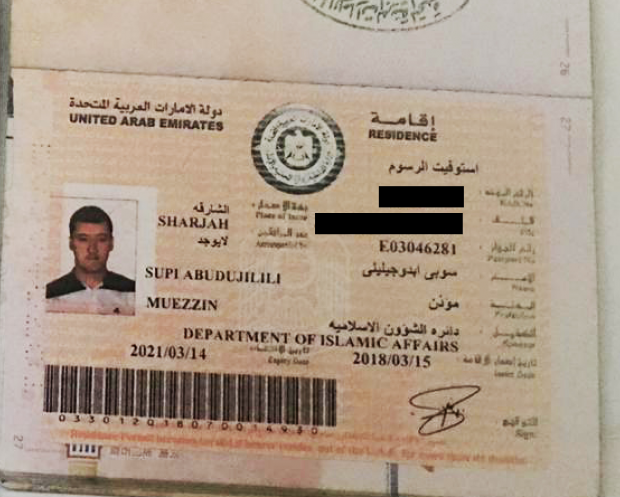 After completing his English course, Supi’s impressive voice prompted the UAE’s religious authorities in March to employ him as a muezzin – a leader and caller of prayers – and give him a residency permit valid until 2021. In recent months he has worked at several mosques across Dubai and never been in trouble with the law, according to family members. However, despite his official role and residency, Supi was suddenly detained by men his wife described as plain-clothes Emirati policemen. 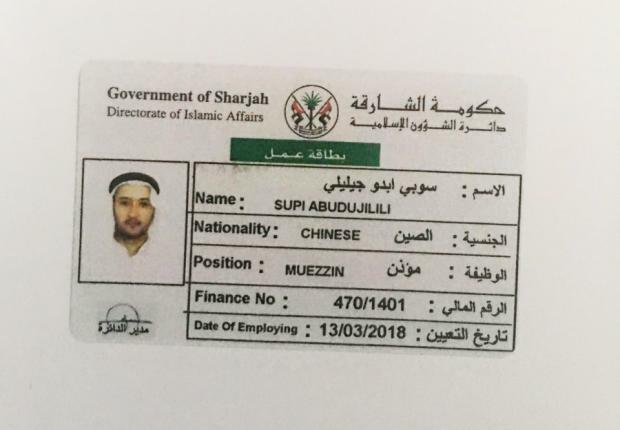 “Four men who looked Emirati picked up Abuduljilili after he finished afternoon prayers at the Abdullah bin Rawahah masjid [mosque] and put him inside a car without any questions,” Shamsuddin, who is also Uyghur, told Middle East Eye. “When I asked what was going on, one of the men who took my husband told me that nothing was wrong, but since then I’ve tried to call my husband, and every time I try, his phone is switched off,” she said from Turkey, where she fled, fearing she too would be detained and under threat of deportation. Emirati police took Supi after he finished leading prayers at Dubai’s Abdullah bin Rawahah mosque- a posting he was expected to fill for 50 days, according to his wife. Since his abduction, he has only contacted Shamsuddin once, telling her that he is in an undisclosed location and that he fears for his life. He also told his wife to flee to Turkey in case the Emiratis deported her to China. Since then his wife has not been able to contact her husband. Supi’s brother, who wished not to be named, has also voiced concern and said that he is afraid for his brother’s life. “If the UAE sends my brother back to China, they are sending him back to his death,” he told MEE from his home in Turkey. “More than three million people are in camps now inside China. We don’t know if our friends are dead or alive and worry for our safety despite being abroad. Supi’s whereabouts remain unknown, but his family suspects the Emiratis are preparing to deport him to China. Uyghur activists in Turkey, Germany and Sweden have told MEE that at least 17 of their community were deported from the UAE to China. MEE could not independently verify this figure. In recent years, several countries, including Cambodia, Nepal, Malaysia, and Thailand has deported Uyghur Muslims at the behest of Beijing. In 2017, Egyptian security forcesrounded up dozens of Uyghur students and sent them back to China. In August, Germany halted the deportation of Uyghurs after it had had “mistakenly deported” an Uyghur man in April following an administrative error that failed to recognise Beijing’s repressive measures in Xinjiang. Sophie Richardson, Human Rights Watch’s China director, told MEE that the UAE should reconsider deporting any Uyghur Muslims to China. “During our research, we have noticed that Beijing is reliant on other countries to send Uyghurs back to the Xinjiang province,” she said. The United Arab Emirate’s embassy in London was approached for comment but did not respond at the time of writing. Additional reporting by Nadda Osman.